Ben Anderson is the crew chief for the YAK 110. He ensures that the aircraft is flight ready when the plane is on tour. 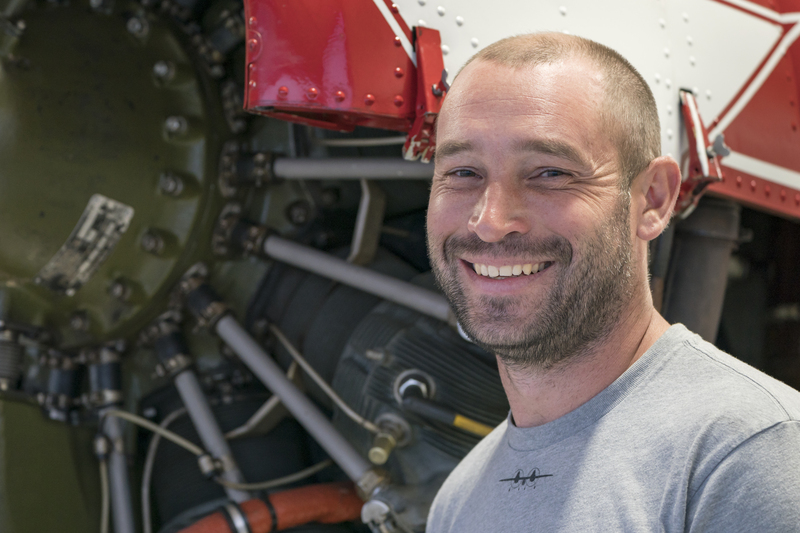 Having been in aviation for over a decade, Ben has flown and worked on many different types of aircraft. He has worked in the air show industry for the last couple of years and has been involved in various projects. Some of his endeavors have made it into a couple of aviation publications. Ben’s own restored and modified plane, the Midwing Special, was in the June edition of Sport Aviation this year. Ben is a certified A&P, IA, and a commercial pilot. He runs his own aircraft repair and restoration business, Aero Sport Craft, located in Maryland.